Pine Beach Pakoštane is an all-inclusive family-oriented tourist resort situated in a thick pine forest on a unique sandy cove with a kilometer-long beach. 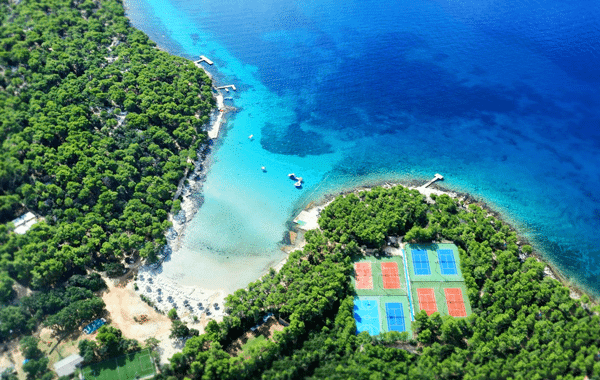 Originally built by Club Med, the resort is in an ideal location between Zadar and Split, overlooking the Kornati Islands. Pine Beach Pakoštane caters to clients who want an active vacation and contact with nature in combination with top-quality service. With 560 bungalows spread over more than 190,000 square meters, the resort can comfortably accommodate 1,200 guests. Over the past few years the resort has made significant capital investments in order to further increase the quality of its services and to continually upgrade its sports and recreational facilities. In 2013 all of the resort’s sanitary facilities were fully renovated; and in 2015 the main restaurant and kitchen were entirely rebuilt.